* A nice, thick, boozy vanilla bordering on extract is the top. * Of the four scents in the Art Collection, this is the only one focused on vanilla the whole time. * The booziness fades and the vanilla is front and center as it’s shadowed by creamy sandalwood and light musk. * Musk and amber amplify the base, making the vanilla much more sweet and sinful. Summary: Vanilla is such a common ingredient that it takes creativity to make it special. For the Orient, a sense of mystery (or a boozy haze) is the first sign of something special in the scent. 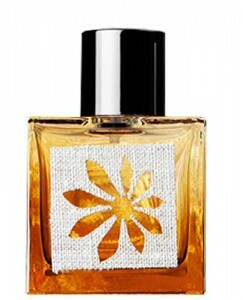 On me, it reads very similar to Guerlain Spirituese Double Vanille – albeit a bit more restrained. If SDV is the drunken lush that is the life of the party, Vanille Orient has a great time, but is sober enough to drive home at the end of the night. Of the four scents, this is the sweetest and the most… erm… lickable. This was my favourite of the line too. I get a lot of oud in the boozy opening. I guess it is just my idea otherwise I am sure they would have plastered “Oud” on the name as it is so fashionable. Vanille Orient is a delightful wear and very unisex too. Thanks for your comment. I know why they didn’t call it oud.. and you will find out why as well.. when I post the interview on Friday.. she had some interesting things to say about the oud trend..
shine. Please let me know where you got your design. Many thanks. I am using the Platform them from Pagelines. If you like it, it’s easy to modify.